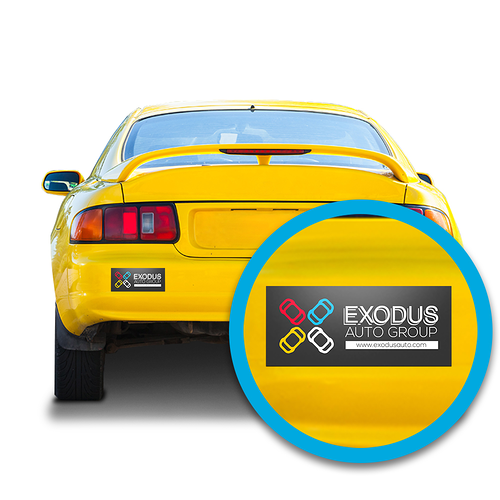 Custom sticker printing is a quick and easy way to promote your business. Whether you use them as product or shipping labels or as promotional giveaways, stickers just have a way of attaching themselves to your customers’ hearts and minds -- among other things. The sticker adhesive attaches itself to virtually any smooth surface. Your customers will be putting your custom stickers on equipment cases, binders, notebooks, sketchbooks, laptops, bins and more. While stickers are widely used for labeling and promotions, they’re also used for quality control tags, as part of corporate stationery, and as fun gifts and giveaways. Create custom stickers in sheet, cut-to-size, or roll options for your business mascots, mottos, and logo. Give them to customers on special occasions or in the mail to create truly sticky impressions for you business. Another popular custom sticker printing application is for decorating and sealing envelopes. Use stickers to guarantee your customers see your logo when they open your mail. We offer stickers in a variety of different stocks, including durable waterproof and outdoor options such as vinyl and BOPP. If you need stickers on sheets, cut-to-size,on rolls, in matte or in UV -- we’ve got you covered. Pun not intended. When you print stickers with 48HourPrint.com, you can choose the best sticker options for your business and have them printed and shipped fast. Try our sticker templates with your own design application for an easy printing experience. Print stickers and make sticky impressions today.